When looking for gardens to visit in the South West of England look no further! 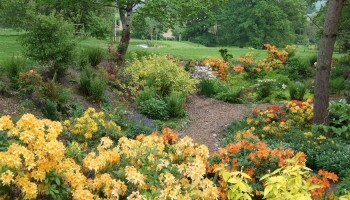 East Devons Secret Garden has 13 acres of lovingly designed gardens with colour throughout the year. This peaceful oasis has a variety of different planting styles which complement the stunning rural views. Taste the different design styles within the garden and appreciate the naturalistic planting. Relax and enjoy the fabulous surroundings and extensive views from our conservatory and tea rooom. 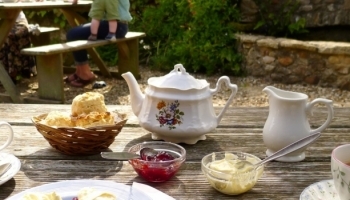 Delicious Devon cream teas featuring homemade scones, locally made cakes and homemade soup complement our range of freshly made sandwiches. Coffee, snacks and light lunches are available from 10am – 5pm. Nursery open to garden and non garden visitors alike from 10am – 6pm every day between 1st April – 31st October. Paninis now available in the Tea Room!! Choose from Tuna Melt, Mozzarella and Pesto, Ham and Cheese or Brie and Cranberry! 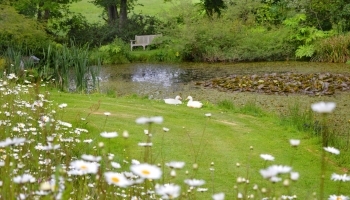 Burrow Farm Gardens updated their cover photo.